Could this diet reverse Multiple Sclerosis symptoms? You've probably heard the old saying, "You are what you eat." But do you know this one? "One man's food is another man's poison." This is a statement by none other than Hippocrates way back about 500 years before Christ. And the old doc was right. A diet that makes one person healthy will make another person sick. That's why it's impossible for anyone to come up with a diet that's perfect for everyone. A recent study points this out dramatically, and gives hope for those who suffer with multiple sclerosis. Before I get into the research I have to explain the difference between long chain fats and short chain fats. There are exceptions to the rule, but as a general rule, long chain fats are the fats found in animal foods, such as dairy, eggs, meats, and fish. You'll also find them in coconut oil and palm oil. Short chain fats are typically found in vegetables and grains. One of the differences in the way the body handles these different fats has to do with the bacteria in your intestines. Intestinal bacteria cannot metabolize long chain fats. So long chain fats get absorbed directly into the body. However, intestinal bacteria can metabolize short chain fats. And the metabolic products of the short chain fats that are metabolized by the intestinal bacteria turn out to be pretty important for us and how our immune systems work. So with that in mind, let's take a look at this recent study. German researchers used a group of mice that had autoimmune encephalomyelitis. 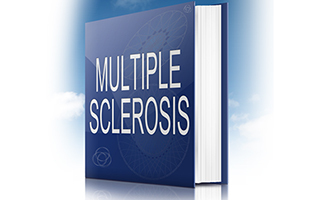 This is a disease similar to multiple sclerosis, which is another autoimmune disease. These are diseases that are caused by an abnormal response of the immune system that damages the lining to the nerves. When the researchers gave the mice a diet high in long chain fats, their disease became worse. When they gave the mice a diet high in short chain fats, they got better. And here's the really interesting thing. When the researchers wiped out all of the intestinal bacteria with antibiotics, there were no differences between the two fats. This proves that the differences have to do with how intestinal bacteria metabolize the fats, not with the actual fats themselves. So what can we make of this report? As I mentioned, autoimmune encephalomyelitis is very similar to multiple sclerosis. So this study shows that for a person with multiple sclerosis, a diet high in short chain fats might be a much better idea than a diet high in long chain fats. And that's not all. Interestingly enough, a doctor by the name of Roy Swank, MD way back in 1972 developed a diet that has helped many patients with multiple sclerosis. And guess what? It's a diet high in short chain fats and low in long chain fats. So if you have multiple sclerosis it might be a very good idea to go on a high short chain fat diet for a few months to see how it affects your symptoms. You can get Dr. Swank's book, The Multiple Sclerosis Diet Book, on Amazon and learn how to do that. Haghikia A, Jörg S, et al. Dietary Fatty Acids Directly Impact Central Nervous System Autoimmunity via the Small Intestine. Immunity. 2015 Oct 20;43(4):817-29.